Atlantic Canada was where the first domino of the SNC-Lavalin affair toppled in public — when Nova Scotia cabinet minister Scott Brison decided to resign his post. It’s also where the Liberals have taken the biggest hit from the scandal’s fallout. What was once the party’s most formidable electoral stronghold has now become one of its key regions of vulnerability. 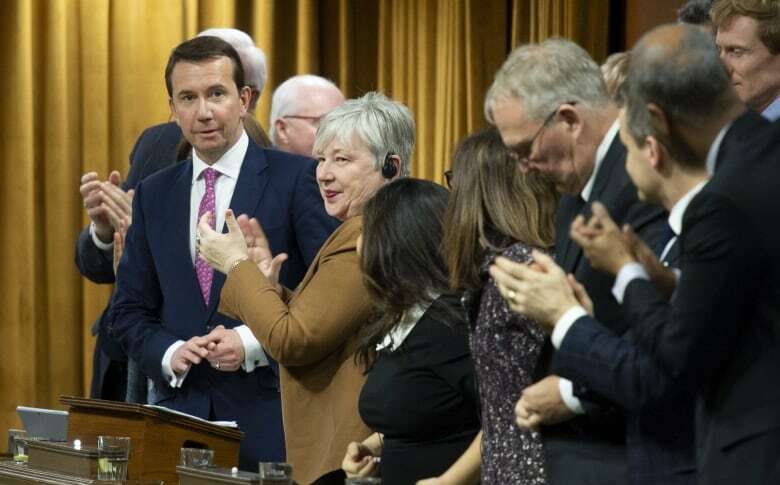 According to the testimony of Gerald Butts, the prime minister’s former principal secretary, the plan to replace Brison as president of the Treasury Board was supposed to be simple and tidy. Jane Philpott would go from Indigenous Services to Treasury Board and Jody Wilson-Raybould would take Philpott’s place. David Lametti would be promoted into the justice portfolio vacated by Wilson-Raybould. It didn’t quite work out as planned. The CBC’s Canada Poll Tracker has recorded a six-point drop in Liberal support nationwide in the wake of the controversy surrounding Wilson-Raybould’s resignation from cabinet — but the party has fallen even further in Atlantic Canada. The Poll Tracker estimates the Liberals are down to 37 per cent support in the region, just 2.5 points ahead of the Conservatives. That’s a 12-point drop from where the party stood on Feb. 5 — a few days before the Globe and Mail, citing unnamed sources, first reported that Wilson-Raybould was pushed by senior people in the Trudeau government to allow the Quebec engineering firm SNC-Lavalin to avoid criminal prosecution on fraud and bribery charges by meeting a number of conditions laid out in a remediation agreement. That slide is twice as big as any drop the Liberals have suffered in other regions of the country and has been registered by every polling firm in the field over the last few weeks. Prime Minister Justin Trudeau also has taken a bigger personal hit in Atlantic Canada than in the rest of the country. His approval rating in Atlantic Canada has averaged 32 per cent in three recent polls by three different polling firms. Those same three firms found Trudeau’s approval rating averaging 46 per cent in Atlantic Canada in November and December. Trudeau and the Liberals certainly had more ground to give up in Atlantic Canada than they did elsewhere. The party swept all 32 of the region’s seats and beat the Conservatives by a margin of 40 points there in the 2015 federal election. But the party has now gone from being 19 percentage points more popular in Atlantic Canada than in the country as a whole to just five points more popular there than nationwide. About one in four Atlantic Canadians who supported the Liberals at the beginning of February have since abandoned them. Nowhere else have the Liberals lost more than a fifth of their support. It has a real impact on the Liberals’ chances of holding their seats in the region. When Butts testified at the justice committee last month, he talked about the electoral conundrum that Brison’s departure created for the Liberals. Butts was worried that with Brison gone — and with a few other Nova Scotia Liberals already at risk of not running for re-election in the fall, particularly if they weren’t given a promotion to replace Brison — the party would be without incumbents in five of their 11 seats in the province, leaving those seats vulnerable. Indeed, Brison’s departure has put those seats up for grabs — but not in the way Butts had expected. The Poll Tracker estimates that, if an election were held today, the Liberals likely would hold on to between 13 and 22 of their 32 seats in Atlantic Canada. Lost to the Conservatives would be some seats in southern and central New Brunswick and some in rural parts of Nova Scotia. The New Democrats also would be in a better position to regain some of the seats they lost in 2015. The list of nominally safe Liberal seats in the region is growing shorter, and includes a handful that will not have incumbents on the ballot — including Nova Scotia seats Sydney–Victoria, Cumberland–Colchester, West Nova and Brison’s own Kings–Hants. The loss of an incumbent makes it harder for a party to retain a seat. In no place is that truer than in Atlantic Canada. Provincial politics weighing the Liberals down? While the Liberal slide coincides with the unfolding SNC-Lavalin affair, it’s possible that provincial politics is making the party more susceptible to losses. Polls suggest fatigue with the provincial Liberal government in Nova Scotia, while the incumbent Liberals are trailing in the polls in P.E.I. ahead of the Apr. 23 election. The P.E.I. Greens are leading there — a development which could complicate things further for the federal Liberals. A Green victory in P.E.I. could boost the fortunes of federal Greens across the region and put a few more seats into play, eating into the Liberals’ support among progressive Atlantic Canadians. On the right, newly-installed Premier Blaine Higgs of New Brunswick is enjoying a bit of a honeymoon following September’s provincial election. The Progressive Conservative leader has gone hard against the federal Liberals on their implementation of the carbon tax in his province. At the start of this federal election year, the Liberals were in a good position. Some of their support in Ontario and Western Canada had eroded, but Quebec and Atlantic Canada gave the party enough of a base to look for re-election in October. The Liberals still lead in both Quebec and Atlantic Canada, but that lead has grown smaller. It’s almost entirely gone in Atlantic Canada. With it goes the seat cushion the Liberals were hoping for east of the Ottawa River.